You have reached the maximun number of messages that can be sent. Please try again later. 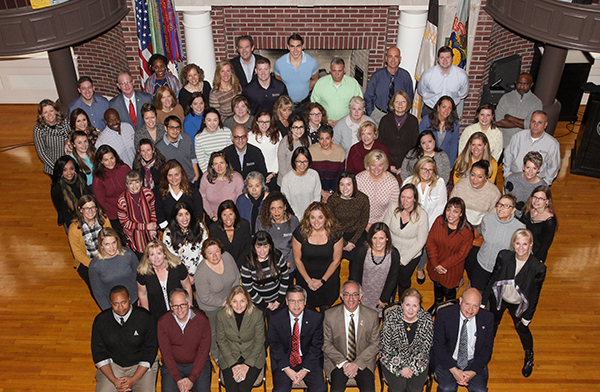 Staff who work for West Point Association of Graduates (WPAOG) feel deeply privileged to serve and support The Long Gray Line. Through our jobs at the James K. Herbert Alumni Center, we provide assistance to Classes, Societies, graduates and their families; produce communications that keep you connected to your alma mater; plan events where you can reconnect with former classmates; raise funds for cadet programs at the United States Military Academy as well as WPAOG operations; and maintain historical records on graduates of the United States Military Academy. If you are unsure of who you need to speak with, please call our main number to ask for assistance in reaching the individual that can best help you: 800.232.4723.